Montana is known as the Treasure State because it is rich in many mineral and gemstone sources, including two types of sapphires: the Yogo Sapphire from the central area of the state, and Fancy Montana Sapphires found mostly in the western half of the state. In 1895, a prospector named Jake Hoover discovered gold along Yogo Creek in the Little Belt Mountains of Montana. He thought a significant amount of gold would be found, so he formed a mining company with two partners, Simon Hobson and Jim Bouvet, who raised $40,000 in capital to begin the mining operation. Like many others, Hoover had travelled to Montana during the gold rush era looking to make his fortune. After one year of mining, however, the three partners had found just 40 ounces of gold, worth only $700, and a few pretty blue pebbles in a sluice box. While other miners discarded the tiny blue rocks, Hoover began to collect them until he had a cigar box full. He sent the cigar box to Tiffany & Co. in New York for identification and seeking a determination of value for the stones. The pebbles were identified by the foremost gem expert in America at the time, Dr. George F. Kuntz, as not just pretty stones; they were actually excellent quality natural sapphires! Kuntz became intrigued by them due to their quality, color and clarity, and deemed them “the finest precious gemstones ever found in the United States.” Wanting to purchase the “superbly-colored, gem-quality sapphires,” Tiffany & Co. sent Hoover a check for $3,750 for the box of stones, which was over five times the money he had made on gold from the mine. The sapphires (now referred to as Yogo Sapphires) had more value than Hoover and his partners ever dreamed of, and they certainly were more valuable than all the gold Hoover had spent a good portion of his life mining for. The partners now concentrated their efforts on finding the source of the Yogo Sapphires. Eventually, however, Hoover became disenchanted with mining sapphires and sold his shares of the mine to his two partners. 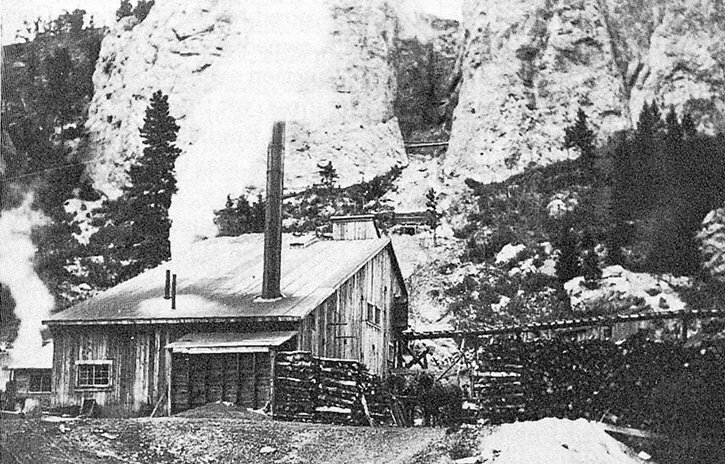 As Dr. Kuntz said, “In purchasing a mere gold mine, they had acquired the most valuable sapphire mine in America, yielding more wealth than all the other sapphire mines in America put together, and a finer quality of gem.” This would be the start of what would be decades of ownership changes and turbulence at the Yogo Sapphire Mine. Once Hoover sold his shares of what was then called the New Mine Sapphire Syndicate, it was not long before his former partners followed suit and sold their interests. Hoover sold his share for $5,000, only for it to be sold again two months later to the British company of Johnson, Walker and Tolhurst, Ltd. for $100,000. The eight lode claims that were originally staked by Hoover became the foundation of the English Mine. In 1896, two other American men staked claims at six remaining sections along the dike, in areas Hoover had deemed unfit for mining, becoming the American Mine. For the first half of the 20th century, the two separate mines were known as the English Mine and the American Mine. In 1899, the British company sent T. Hamilton Walker, a mining engineer, and assistant, Charles T. Gadsden, to America to oversee the mine, in an effort to minimize expense and increase profits. While not an engineer, Gadsden would play a major role in the history of the English Mine. 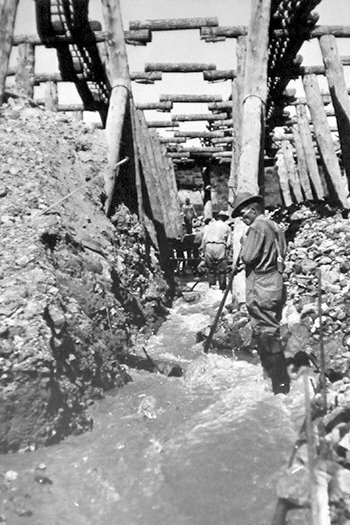 Operations at the mine during the beginning of the century were very successful, and millions of carats of rough Yogo Sapphires were excavated. British marketing experts arranged exposure for Yogo Universal Exposition in Paris, where the sapphires of Montana received a medal for their fine quality and color. However, European retailers were beginning to market them as Oriental Sapphires, which, at the time, fetched a better price and were similar in color. The operations at the English Mine during the beginning of the century are considered the most successful endeavors to profit from Yogo Sapphires. Gadsden was put in charge of the operations, becoming the resident supervisor of the English Mine. He steadily profited using “outdated” hand-drilling techniques and mules for pulling carts of ore. Gadsden was successful at many areas of mining that others on the American Mine were not, such as finding ways to separate sapphires from heavy minerals, and keeping the miners from stealing the stones. Unfortunately, all the rough sapphires mined from the English Mine were shipped to London, where they were cut and sold in Europe, often as sapphires from the Orient. Operations at the American Mine were less successful, and ownership changed hands frequently. The money invested in the development of mining operations usually exhausted the owners’ resources, and left them without enough capital to continue. 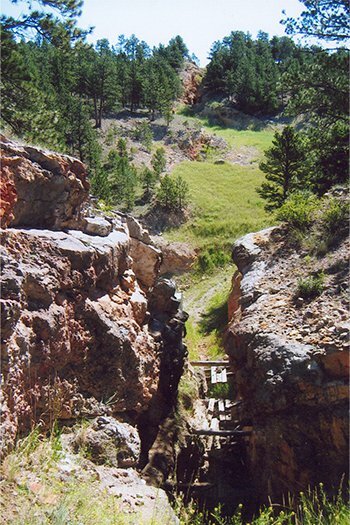 The American Mine, unlike the English Mine with its rolling, hilly terrain, was concentrated in rough, rugged cliffs that were harder to access. For the rough stones they did manage to acquire, the poor quality of the cutting and the unsatisfactory marketing of the sapphires sealed the mine’s fate. In 1913, the Yogo American Sapphire Company, owners of the American Mine at the time, was forced into bankruptcy, and put the dike property up for sale for $80,000. Gadsden wanted complete control of the dike for himself, and felt the Americans were inefficient at mining. He went to England to the New Mine Sapphire Syndicate, owners of the English Mine, to acquire ownership of the American Mine, and therefore full control of the entire stretch of the known Yogo dike. Gadsden was able to convince the English Mine owners that purchasing the American Mine would reduce competition and that the purchase price would be easily recouped. Gadsden then set forth washing the tailings left behind from the American Mine. In the first year’s cleanup of the old tailings, he reclaimed more than $80,000 in value of stones missed by the miners of the American Mine, thus paying for the purchase of the American Mine before new operations even began. In the early 1900s, the combined mine had produced over 13 million carats of rough Yogo Sapphires. These stones were not only used for jewelry production, but also for watch bearings in mechanical watches. 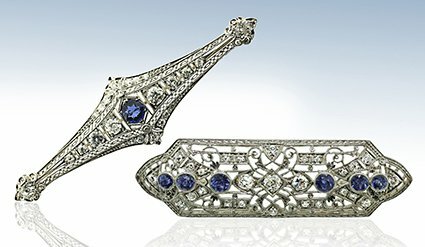 The non-gem quality sapphires were sold as abrasive for cutting steel. As World War I increased demand for cutting abrasives, production at the Yogo Mine was allowed to continue, while other mines were deemed non-essential, and subsequently their workforces were given other priorities. By 1922, the combined mines began to fail. Synthetic sapphires had been introduced on the market and with this, the need for Yogo Sapphires as watch bearings and abrasives was eliminated. The only value for Yogo Sapphires now was as gemstones. After the toll of World War I and a steady economic decline, interest by the British in Yogo Sapphires began to wane. 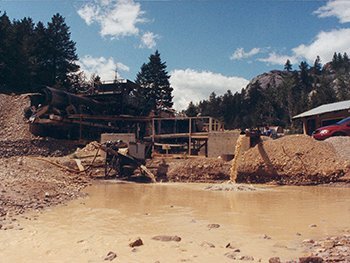 The final blow came in 1923, when a tremendous flash flood destroyed most of the above-ground mining structures and washing pads, including washing away millions of carats of rough sapphire. The British decided not to put any more capital into the working structure of the Yogo mines, and put the mine up for sale. The mine was eventually sold for back taxes, and several different parties owned the property at different times. For many years, the property was wide open, and many locals picnicked in the area, gathering the little blue pebbles washed downstream in the flooding during their outings. To this day, people are making jewelry from the stones they found during that period, recalling the time when they could go out and search for Yogos on their own without fear of being caught. The following owners closed off the mine to the local rockhounds, and tried various attempts at mining and marketing Yogo Sapphires with little success. In 1969, the mine was acquired by Herman Yaras of California, who later sold his interests to another Californian: a celery farmer named Chikara Kunisaki. The Kunisaki family formed the company Roncor, with a master plan to raise capital by creating and selling property in a development known as Sapphire Village. Roncor sold home sites to rockhounds near the Yogo Mine, and the home sites came with limited digging rights along the Yogo dike. Several families to this day own property at Sapphire Village, and continue to do limited hand mining on their rights at Yogo, including Don Baide, owner of The Gem Gallery. 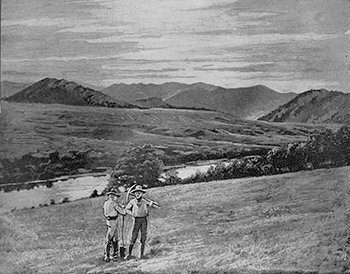 Roncor attempted to mine the dike from the west at the original American Mine, but was unsuccessful. They ceased mining operations and put the property up for sale. Roncor then sold the mine to a Colorado company, Intergem, that strip-mined a major portion of the eastern end of the dike. During its years mining, Intergem successfully mined and removed millions of carats of sapphires. However, Intergem was unable to complete its purchase agreement with Roncor, and Roncor regained complete ownership of the Yogo Mine. After the fall of Intergem, a Canadian company called Pacific Cascade Sapphires attempted to purchase the Yogo property from Roncor with a mining lease. They raised start-up capital, built a wash plant and settling pond, and began their search for Yogo Sapphires. They scooped samples from many places, did mapping and magnetometer testing, but did not locate a good mining location before their funds ran out and their option expired. Next to try their hand was Amex Engineering, who had a two-year lease from Roncor and mined two bulk samplings at the middle of the mine area and the eastern end of the dike. They found considerable fine stones, but decided not to continue their lease option. After Amex pulled out, Roncor retains control of the property to this day, but the mines remain inactive, except for the hand-diggers from Sapphire Village. During the rise and fall of companies trying to find success with the Roncor property, there was a new mine that had started at Yogo Gulch. In January 1984, four local residents, Lanny Perry, Chuck Ridgeway and their wives, Joy and Marie, made their own discovery at Yogo. They followed a wood cutting trail that led them to an untouched section of the dike that had been previously disregarded by Gadsden as not worth mining. They staked their own claims on property not belonging to Roncor, and began to mine. This new area was called the Vortex Mine, and the mining was to be done underground. In time, they sank a shaft 280 feet down and discovered two different veins of Yogo-bearing ore. The group operated this mine successfully for several years. 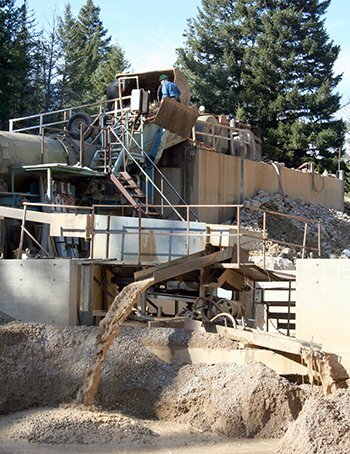 Knowing that further capital was required and greater mine expertise needed, the mine was then leased to Small Mining Development (SMD) of Boise, Idaho. SMD came in and drove a spiraling decline shaft down to a depth of over 300 feet. SMD tried advanced mining techniques, such as high pressure water jets, to cut away the ore-bearing rock. Ultimately, SMD was dissatisfied with their production and profitability at Yogo. 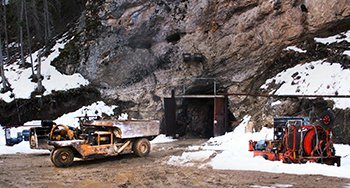 When SMD pulled out, they removed their wash plant and there was talk of possibly filling the spiral shaft with concrete and sealing the mine forever. 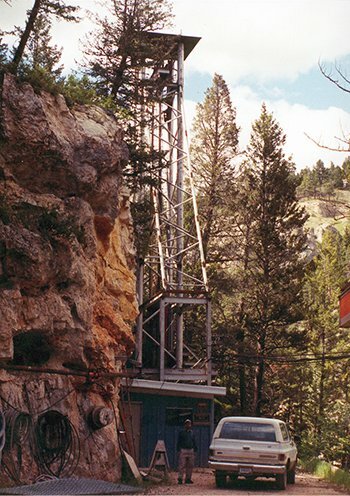 The Vortex Mine became dormant and essentially closed in 2004. The future for Yogo Sapphires looked very dim until the spring of 2008, when it was announced that Mike Roberts, a second-generation hard rock gold miner from Alaska, successfully acquired the Vortex Mine and its claims. He successfully commercially mined underground at Yogo, through the Vortex portal, utilizing the wash plant originally built by Pacific Cascade Sapphires. The mine shaft was around 300-foot deep but it had not been greatly explored by previous miners to determine the amount of Yogo Sapphires present. 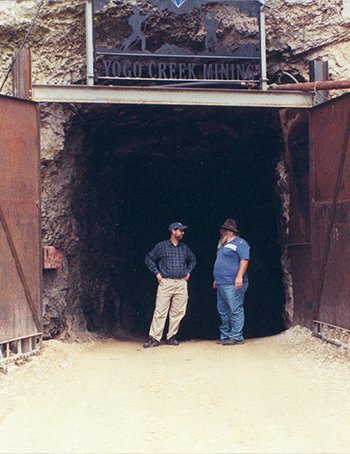 Mike worked diligently in the mine reaching a depth of over 400 feet, all the while following a vein of Yogo Sapphires. 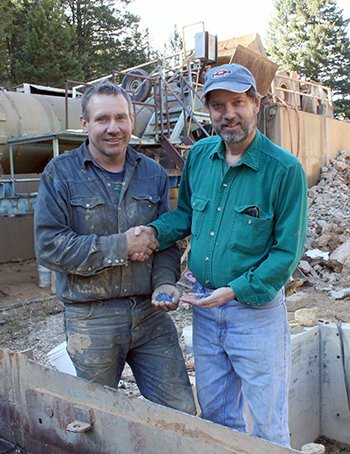 The new Vortex Mine's owner, Mike Roberts, is congratulated by The Gem Gallery's owner, Don Baide, each with a handful of rough Yogo. Tragically, on March 19th, 2012, Mike Roberts died in an accident while working underground in the Yogo Sapphire mine. Mike died doing what he loved, searching for Yogo Sapphires. He was full of life and among his favorite things to do were to drill and blast, and spend time with his wife and family. His generosity to the Special Olympics is well known and was greatly appreciated. He was a great friend to all that knew him and he is greatly missed. After Mike’s death, the Vortex mine was closed for nearly five years, and for a time its fate had been in question. 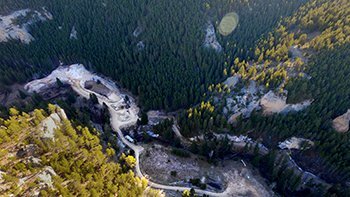 However, in the summer of 2017, the Baide family are proud to have secured the purchase of the mine and immediately made plans to have it fully-operational in time for the holiday season. 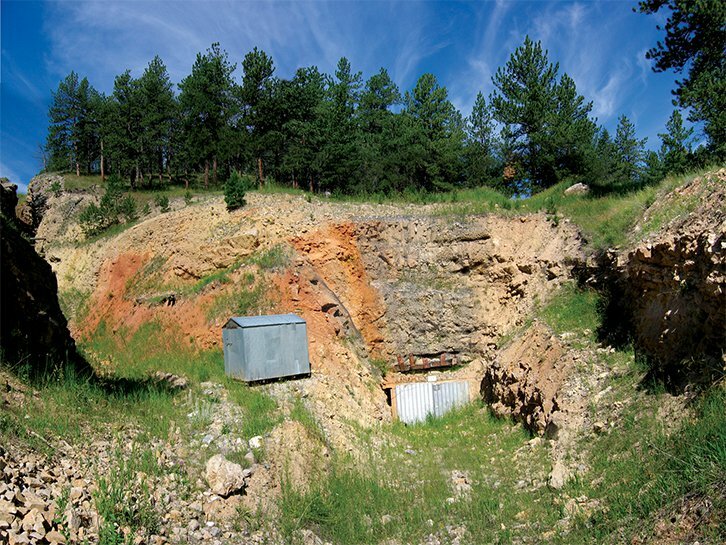 Under their ownership, the Vortex Mine is an eco-friendly and professional operation, disturbing fewer than five acres above ground with very little surface disturbance. It is accessed by a 35-story deep spiral decline and run by a team of six highly-experienced Montana miners. This reopening comes at a time when Yogos have become very difficult for jewelers and the public to acquire — aside from continuing his Mike’s legacy, Don is looking to provide Montana with sustainably-extracted, natural Yogo Sapphires. It has positioned The Gem Gallery to be the premiere supplier of these sapphires, benefitting all jewelers and their customers who are looking for a gemstone rooted in the state’s history. The Vortex Mine is operated and its gems distributed under the Yogo Mining Company LLC.